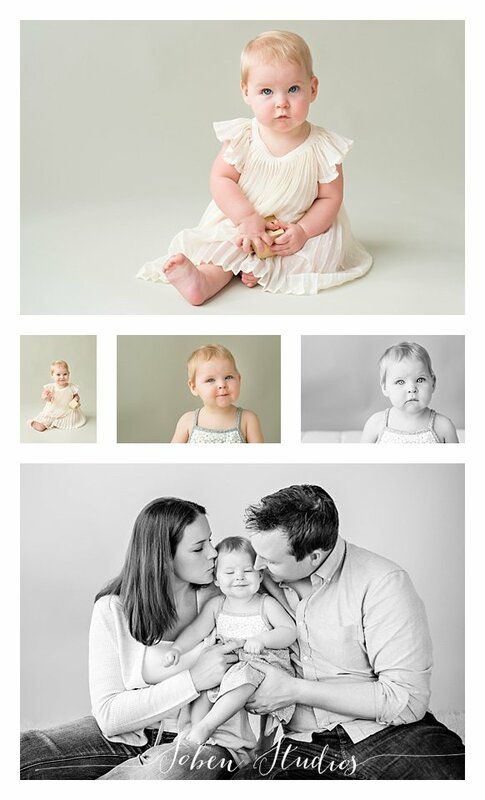 We had no problem capturing beautiful portraits of this baby on the move! 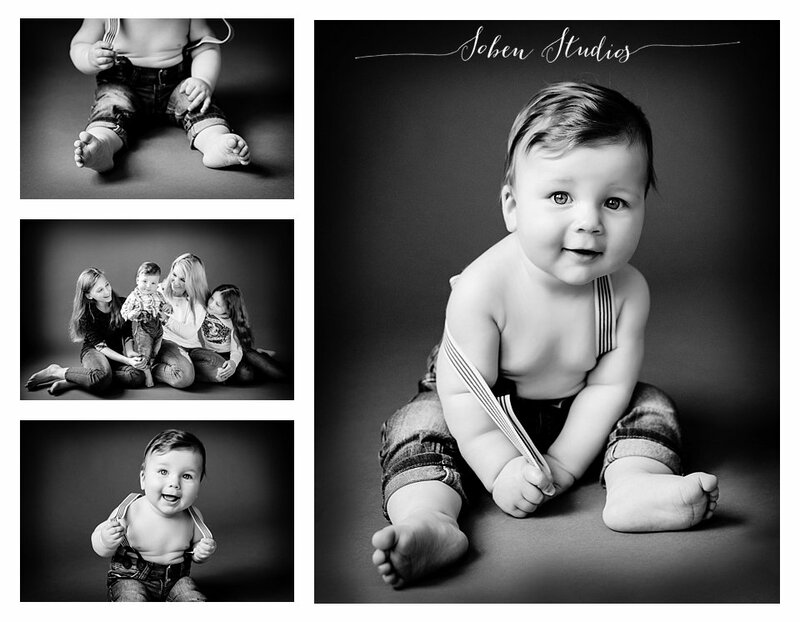 He was totally content wearing only his diaper during this in-studio portrait session. What a sweet little boy! Such a cutie! 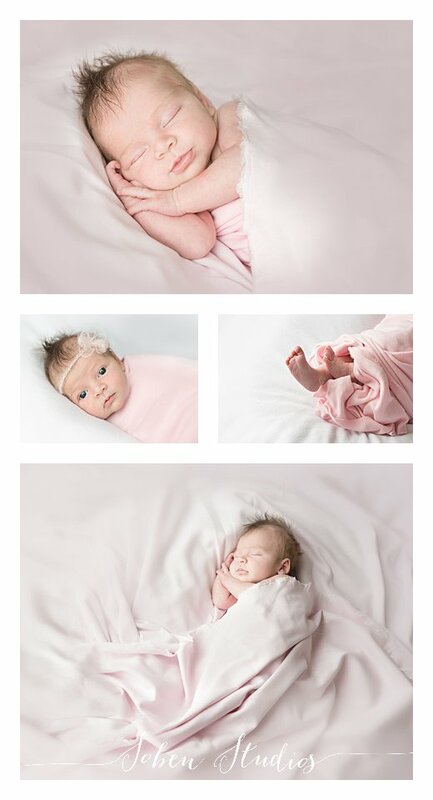 She loved snuggling with our soft organic fabrics during her newborn portrait session. She gave us a big stretch at the end of the portrait session and popped her toes right out of her swaddle! We feel that every newborn portrait session is so special to us but this in-studio portrait session was extra special:). Laurie was beyond thrilled to document the first week of life of her precious little niece. This little baby was “at home” in our studio and was so happy to be all curled up on our organic-made blankets and wraps. What a blessing this little girl is to her beautiful family! She was a no fuss just sweet kind of baby. No socks for this baby…she loved moving those toes and grabbing her ankles. With each new outfit placed on her she had to taste the texture, the baby stage when one wants everything in her mouth including her dress! Those big eyes just draw you in too! This little guy was the star during the in-studio portrait session. We could photograph him all day! Oh those beautiful big eyes! He found out quickly how fun it was to pull on his suspenders too! She was an absolute doll during her individual portraits! She snuggled up to all of our soft organic fabrics and slept for the majority of her newborn portraits. It was a pleasure working with this baby girl and her parents:). She was the sweetest little girl...oh, those big blue eyes too:). We were smitten with her happiness that filled our studio. We enjoyed watching this family interact during their family portrait session. This little darling could not be happier receiving so many kisses from her parents too! This family is nothing but amazing in front of the camera! Not only are they simply gorgeous, but all this love for their adorable baby is heart-melting. One whole year of being parents and a family of three is so special, we are honored to capture such a sweet time in this family's life. We're back with this sweet baby girl for part two, and still loving those gorgeous eyes of hers! This age is so fun, and it was such a joy to have her in our studio. Look at that little face! This little sweetie is so lucky to have such great siblings! We love watching our clients' families grow, and baby makes three for this wonderful crew. Loving these smiles! Remember this guy with the gorgeous eyes from THIS post awhile back, and our last two posts in July? Well, he's a big brother now and his baby sister is just as darling! He's doing a wonderful job as a big brother to that little sweetie swaddled up in his arms, and melting our hearts. We love getting to know our families as they grow, and this family has been so fun to watch grow in love and numbers! Our little princess is back, and this time with her sweet parents! We just adore all kinds of family snuggles, and it makes us so happy to capture each and every one we're lucky enough to meet. Just look at that babydoll's smile! Lucky us. Nine months old is such a great age, isn't it? Personality and smiles and an emerging little person all still in a baby sized package! This little princess showed us nothing but cuteness in our session and here is part one of her adorable day, stay tuned for part two soon!